Bam Bam Bigelow: Hall of Fame bound in 2019? 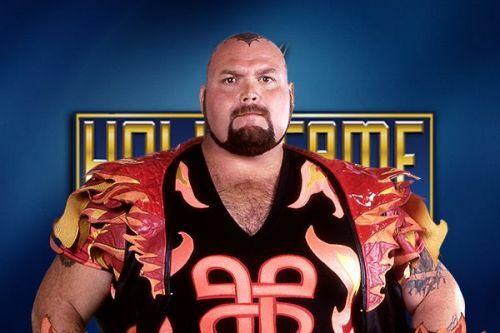 Ringside News reports that wrestling legend, Bam Bam Bigelow is a "lock" to be inducted into the WWE Hall of Fame class of 2019. Bigelow was heavily rumoured to be among the inductees last year but was ultimately overlooked. Ringside News reports that Bigelow's enshrinement may have been delayed a year due to 2019's edition of Wrestlemania hailing from Bigelow's home state of New Jersey. Bam Bam Bigelow is renowned as one of the greatest "big men" in wrestling history. Incredibly strong but also impressively agile, Bigelow was a star wherever he wrestled. He competed in WWE, WCW and ECW. throughout his two-decade career which spanned from 1985 right through to 2006. He engaged in classic bouts with all of the biggest stars of the era although he never achieved the headline status he craved and believed he deserved. Bigelow openly resented Vader, a fellow big man whom he trained and who achieved main event status and won World Titles in the United States and Japan. Nevertheless, with his fire emblazed ring gear and tattooed head, Bigelow was one of wrestling's most memorable characters and best in-ring performers in his heyday. Sadly, if rumours of his induction are true, Bigelow will be a posthumous inductee, as he passed away in 2007. There are few wrestlers yet to be inducted who are more deserving of the honor. Bigelow main evented Wrestlemania XI with NFL star, Lawrence Taylor, who was wrestling his one and only wrestling bout. Bigelow led the novice to a perfectly acceptable match which was a testament to his immense skill in between the ropes. Bigelow also held the ECW World and Television Title; it was Bigelow who dropped the TV belt to Rob Van Dam, kicking off RVD's legendary, near two-year title reign. Bigelow in the 2019 Hall of Fame has an excellent ring to it. WWE will likely name their headline inductee for the 2019 class of their Hall of Fame on the post-Royal Rumble Raw this coming Monday. The rest of the inductees will be announced on a week by week basis until Wrestlemania 35 takes place on April 7, 2019.